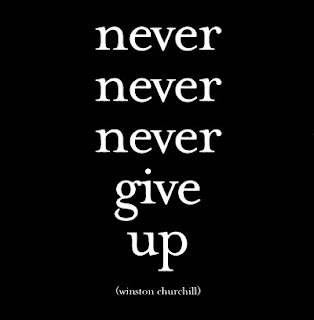 Wayne Mansfield: Thought For Today: Never Give Up! Courage is the power to feel the fear but do it anyway. It comes from the recognition that you're bigger than your problems and that taking action is the cure for fear. Question: What fears are holding you back? What simple steps can you take to face the fear and do it anyway?